Welcome to Sanguile.com!! Sanguile was created in the Fall of 2017 by Ally SaMone. The name comes from the combination of the words SANGUINE & TRANQUIL and is pronounced as SAHN-GWILL. 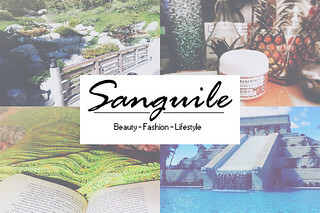 Sanguile is categorized as a lifestyle blog, because it features posts on every topic you could think of with a focus on topics such as: beauty, fashion, fitness and travel! Ally SaMone is a nursing student with a love for blogging. She's owned and created blogs since 2007.She was born and currently resides in San Diego, CA. She loves tea, coffee, sushi and s'mores. She's also a dog parent to two dogs: Samson & Star and loves nothing more than cuddling with them on the weekends. She loves to shop, try new products and post about them to her social media channels. She has a goal to make her life and everything around her as beautiful and enjoyable as possible! !